This revised edition of A Modern Approach to Verbal & Non-Verbal Reasoning (2 Colour Edition), while retaining the key strengths and structure of the previous edition, brings to the readers additional questions from various competitive examinations as per the latest pattern and trends. A section on recent questions (based on memory) and their answers/solutions from different competitive examinations like SSC, SBI-CGL Tier I, AFCAT, SBI (PO), RBI Grade B, etc. has been added. (a) By suitably arranging the questions based on the latest examination patterns. (b) By providing a huge number of questions for practice, with solutions that can teach one the right approach towards solving them. 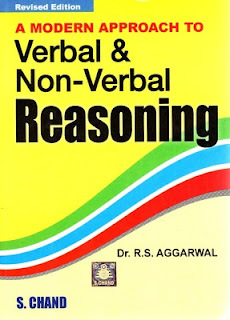 Dr. R. S. Aggarwal was born on 2nd January, 1946 in a village of Delhi. He graduated from Kirorimal College, Delhi. After completing his M.Sc. in Mathematics in 1969, he joined N.A.S. College, Meerut as a lecturer. In 1976, he was awarded a fellowship for 3 years and joined Delhi University for his Ph. D. Thereafter he was promoted as a reader in N.A.S. College, Meerut. In 1999 he joined M.M.H. College, Ghaziabad as a reader and took voluntary retirement in 2003. He has written 75 books ranging from Nursery to M. Sc. and for general competitions from clerical grade to I.A.S. levels.